Thank you Michael, During the mid 70's I lived two blocks from this busy corner and had many wonderful meals at the Brown Derby. 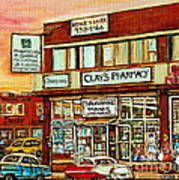 I was very pleased to sell the original of this painting to one of the pharmacists who owned Clay's. 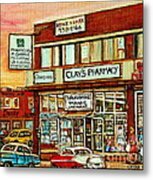 I'm happy that the painting found its rightful owner. 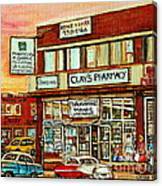 Many thanks Michael for appreciating my work. I remember the Van Horne & Victoria area from many many years ago when I used to live in Montreal. 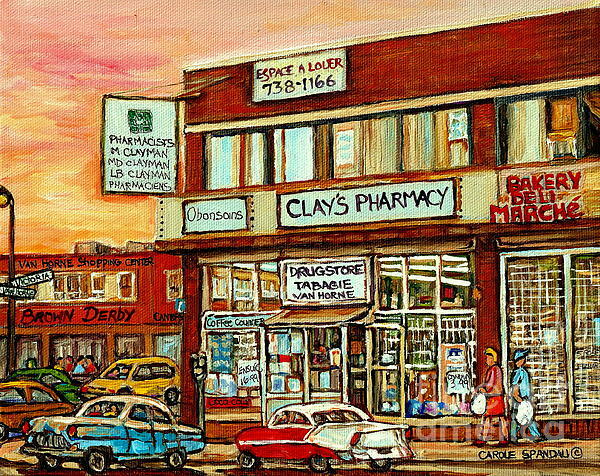 Lovely painting featuring Clay's Pharmacy, Cantors, The Brown Derby all businesses that are long gone from yesteryear.